Brett Dorrian Artistry Studios is an award-winning hair, makeup, and photography studio in the Twin Cities. I was brought on board to complete a full rebrand in an effort to better align the company's identity with their high-quality, highly sought after work. 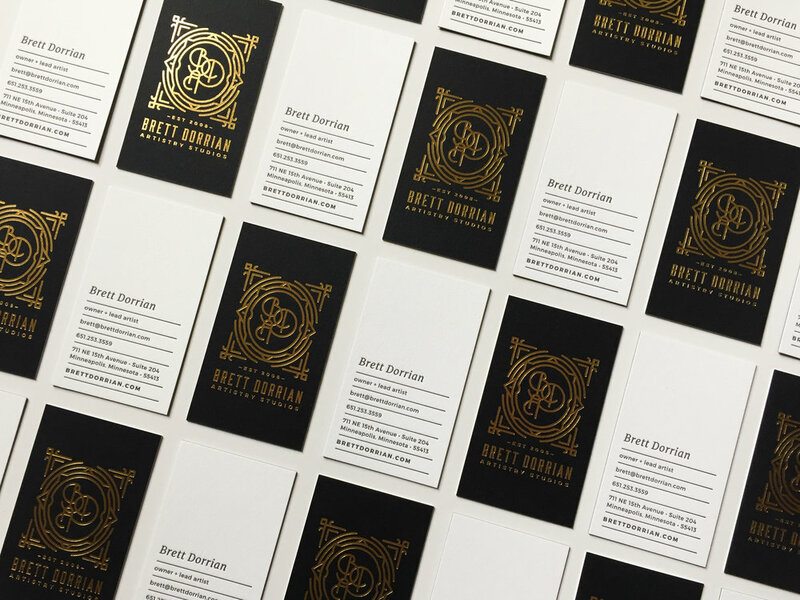 Brett Dorrian Artistry Studios was born out of theater, and their original logo and collateral system reflected this with dramatic, art nouveau inspired fonts, deep red and black brand colors, and a website with outdated work and complicated navigation. This look matched their original studio, a small space adorned with red velvet curtains and striking vintage furniture, but a move to a bigger, brighter studio prompted a rebrand and shift towards brighter palettes and a softer brand. 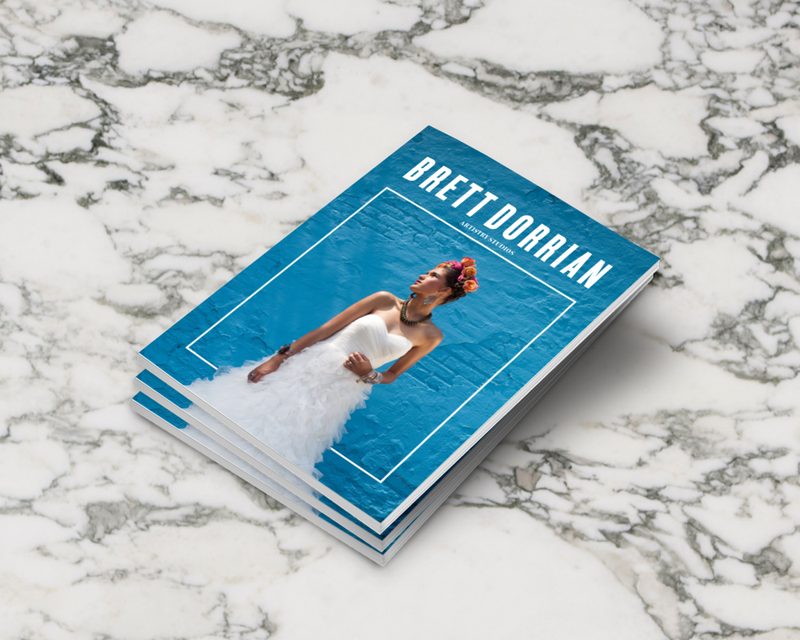 Over their seven years in business, the work had pivoted towards the wedding, lifestyle, and business markets, and the challenge was to provide an identity that set Brett Dorrian Artistry Studios apart from the pack. Small businesses are often a labor of love, and staying connected to one's roots is of great importance, even after great success or growth. The theatrical history of the company was something unique that helped direct course for the rebrand, and the result was a modern take on ornate design. The original monogram (BDA) was updated slightly, but remained as a sentimental and recognizable part of the logo. The buildout for the rest of the collateral and web UI was inspired by the studio, which offered a mix of patterns, texture, and luxury. The end result was a bright, refined brand identity that would appeal to Brett Dorrian's client base and to the wider wedding and business communities.